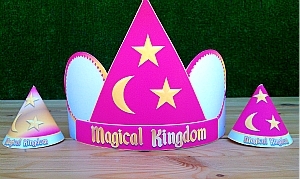 Magic Kingdom party supplies that are printable. 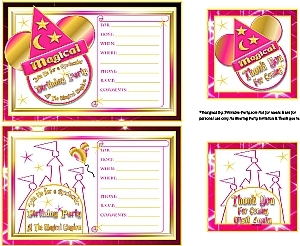 Our printables are designed using pink & gold colors throughout each printable party page. 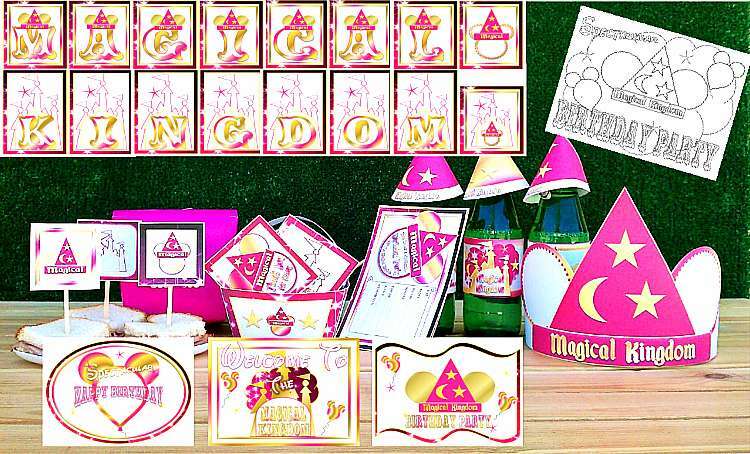 Golden mouse ears are embedded within party banner letters, drink labels, invites, and cupcake toppers. 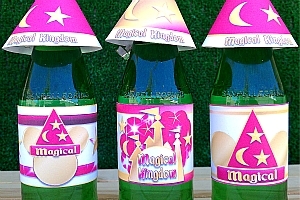 These are print and trim party supplies. 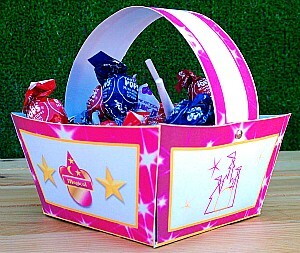 Enjoy being crafty for your party.